Howard Kroplick said he blames his wife Roz for his blossoming classic car collection. In 2003, Roz was sick of the moaning and sent her husband on a mission to find a 1966 Shelby Mustang. Kroplick said he bought an upgraded model from the original he sold decades earlier. After Kroplick, who also volunteers as Town of North Hempstead historian, took the Shelby Mustang to a car show and won an award, he said, he was hooked on the experience, slowly acquiring the Alco Black Beast, which won the 1909 and 1910 Vanderbilt Cup Races, a seven-passenger limousine from 1937 built as a gift for Walter P. Chrysler’s wife, a Mustang III concept show car from 1963, making it the oldest Mustang on the road today, and his newest purchase, a coveted Tucker sedan in his Waterfront at Roslyn garage. Kroplick’s Tucker was the 44th built of the 51 pilot production cars made by the Tucker Corporation in 1948. Kroplick said only 47 of the hand-built cars still exist with other owners including 18 museums, George Lucas and Francis Ford Coppola. When Kroplick found out the car would be auctioned, he began doing his due diligence to make sure the car was what the auction house was representing. After a few calls, he ended up in touch with Tucker Corp. founder Preston Tucker’s great-grandson Sean Tucker. Now, Sean alongside his twin brother Mike Tucker and modern coachbuilder Rob Ida are helping Kroplick restore the historic automobile to its former glory, including repairing the unique middle “Cyclops” headlight to rotate with the steering wheel, detailing the rear engine originally built for a helicopter as well as returning the paint and upholstery to the originals. Since purchasing the car in January 2017, Kroplick has put 180 more miles on the car and its cord transmission, which Kroplick said is backward from a standard transmission, requiring the driver to select the gear before using the clutch. Kroplick said of all the cars, he drives the Chrysler the least because it’s “a work of art,” and the Classic Car Club of America recently gave it a perfect 100 for its evaluation. He said he enjoys driving the Black Beast, including in the parade laps during the Indianapolis 500 centennial celebration in 2011. 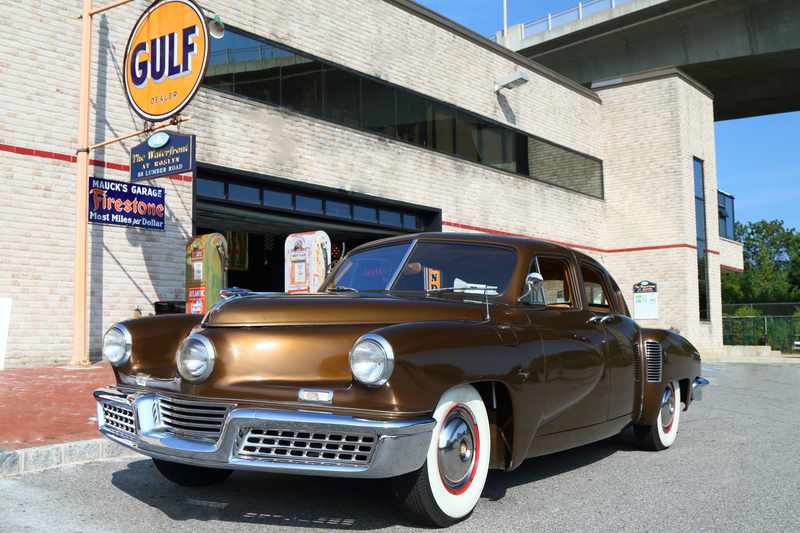 Though Kroplick has been steadily building his collection for more than a decade, his focus until August is preparing the Tucker for a possible appearance at the Pebble Beach Concours d’Elegance in California. 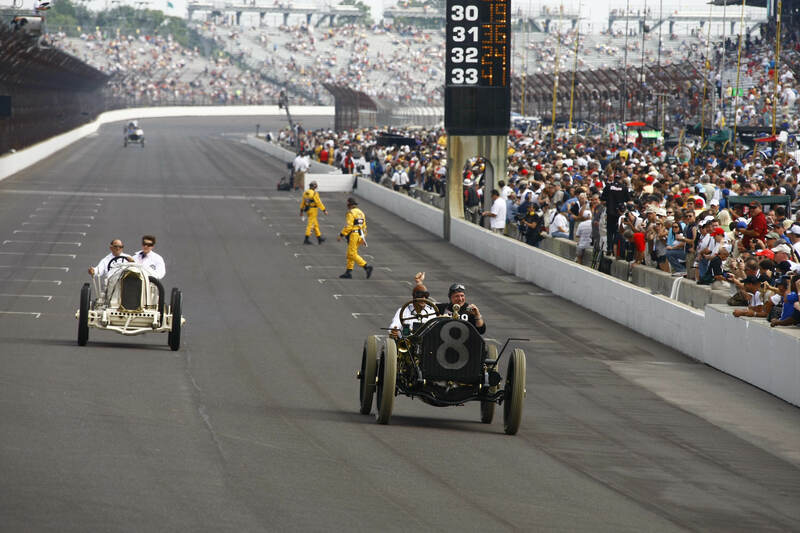 Howard Kroplick celebrates crossing the finish line in his Alco Black Beast with two-time Indy 500 Race winner Emerson Fittipaldi during the 2011 Indianapolis 500 parade laps. Howard Kroplick purchased a Tucker sedan with only 8,000 miles on it in January 2017. 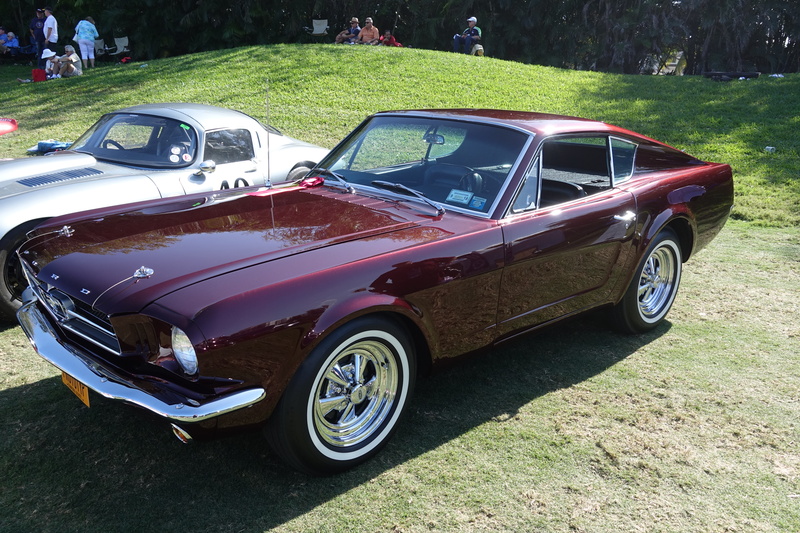 The Mustang III prototype car was built in 1963 and is the oldest Mustang on the road today. Howard Kroplick discovered a seven-person limousine that was originally a gift from Walter P. Chrysler to his wife, Della, in a garage at the Suffolk County Vanderbilt Museum. 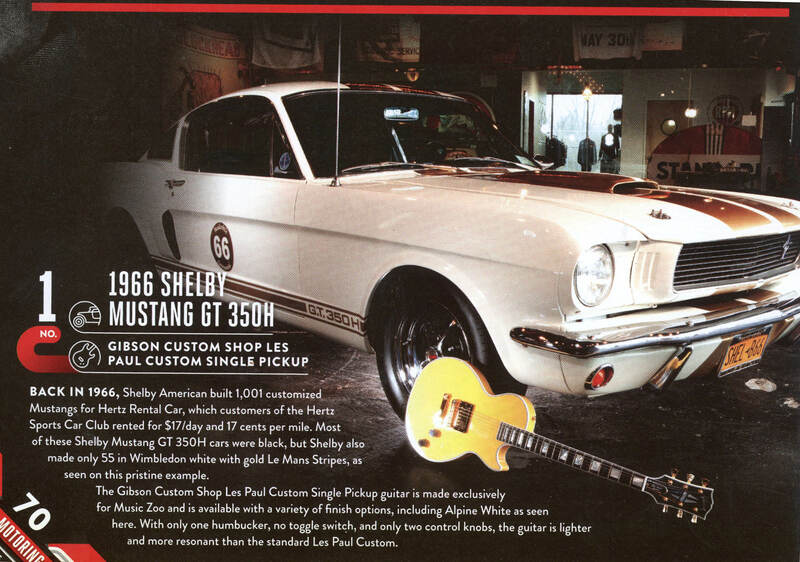 The 1966 Shelby Mustang 350H Hertz-Rent-A-Racer in an ad for the Music Zoo. Little did I know that you began your love affair with cars as the result of a disagreement between you and Roz.